Patti’s first single of 2018, Start Again, is available from iTunes. In summer 2015 Patti Russo released a new single, titled When it Comes to Love, with Belgian producers and DJs Regi and Lester Williams. The song was written by Patti Russo and Tonino Speciale and recorded in summer 2014 and was initially being considered for the 2015 James Bond film Spectre. 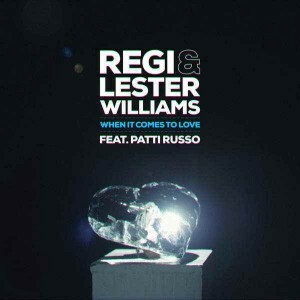 Remixed by Regi and Lester Williams featuring Patti’s original vocals, When it Comes to Love was released on 31 August and became an instant dance hit, climbing to number 5 in the Belgian Ultratop 50 charts in September. Read more about the story behind When it Comes to Love in Patti’s own words. You can download and stream When it Comes to Love from all major music services: choose yours here. An EP featuring different remixes is also available from iTunes. Patti’s first solo EP Xo!! features her best-known song to date, Bring Me a Bible and a Beer, as well as the tracks How Long, One Door Opens and Here We Are. from the past two decades. This is another song Patti wrote and performed live with the Jon Tiven Band at the Umbria Jazz and Porretta Soul festivals in Italy in 2007.